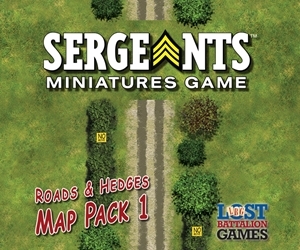 Map Pack 1 – Roads and Hedges allows players to expand their current SMG maps for even larger scale games. This pack contains 24 various double-sided road tiles, further expanding the options for the in-game road system. 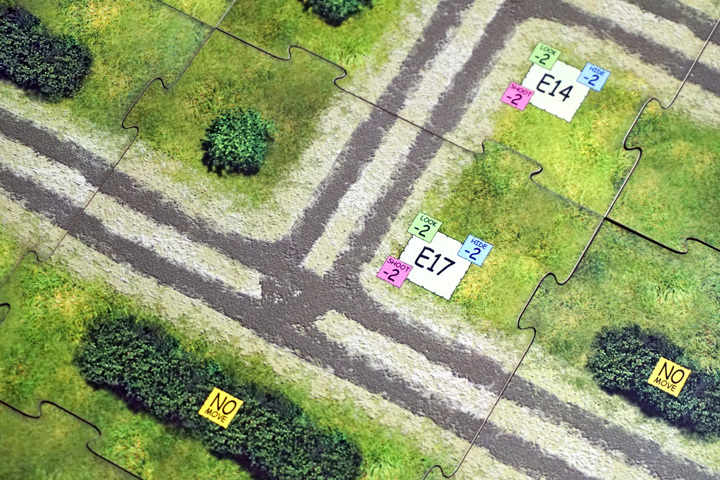 The road tiles also contain movement restricting features, such as hedges, limiting movement off the road and offering great ambush opportunities. 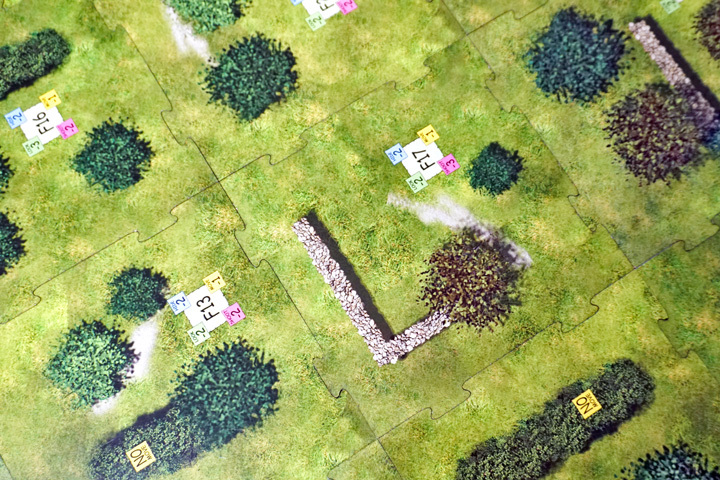 The reverse side includes trees, hedges, and even stone walls that provide excellent protection for your soldiers. Map Pack 1 is great for creating a more extensive map footprint for larger scale Sergeants: Hell on Wheels vehicle engagements. This Map Pack is fully compatible with all SMG base games and expansions.